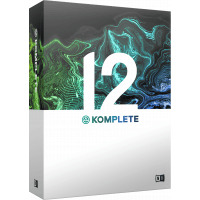 Native Instruments Komplete is one of the worlds best-selling music software bundles, and includes some of the most widely used plugins in the music industry, by professional producers, DJs, recording artists and amateurs alike. 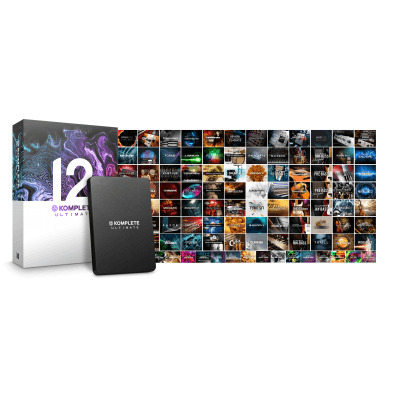 Komplete 12 is the latest instalment and with it brings some new additions, such as Kontakt 6, Session Guitarist - Electric Sunburst, TRK-01, and for the first time, expansions sound packs. 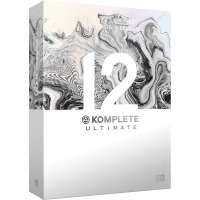 Komplete 12 Ultimate is 2nd Highest tier in the Komplete 12 lineup and features all key synths, effects, and a huge selection of Kontakt libraries including everything from classic synths, strings, drums, cinematic tools and more. 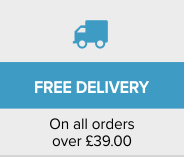 Installation is easy too, as all content is included on a USB Hard Drive to save time downloading, although this will become available too upon registration. Massive has helped shape this generation, having been used to pioneer dubstep, house, and a load of electronic music since it's release. 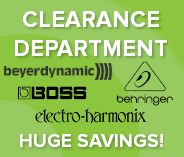 Continuing on from this success is Massive X. Massive X is a brand new powerful synthesiser aimed at not only playability, but content creation. 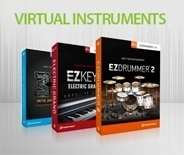 Featuring all the same features found on Massive and then some, Massive X has been designed in a modular fashion to let you design more than just a preset, but an entirely new unique and unique synth. 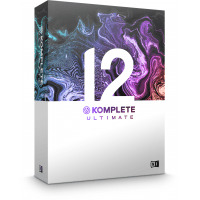 Similar to Kontakt and Reaktor Player, users will be able to download a Massive X player for free, and play around with user created patches if they don't own the full version. Massive X is not designed to replace the original Massive, rather run alongside it. Massive X is due for release in Feb 2019, and will be made available for free for users of Komplete 12 Ultimate.